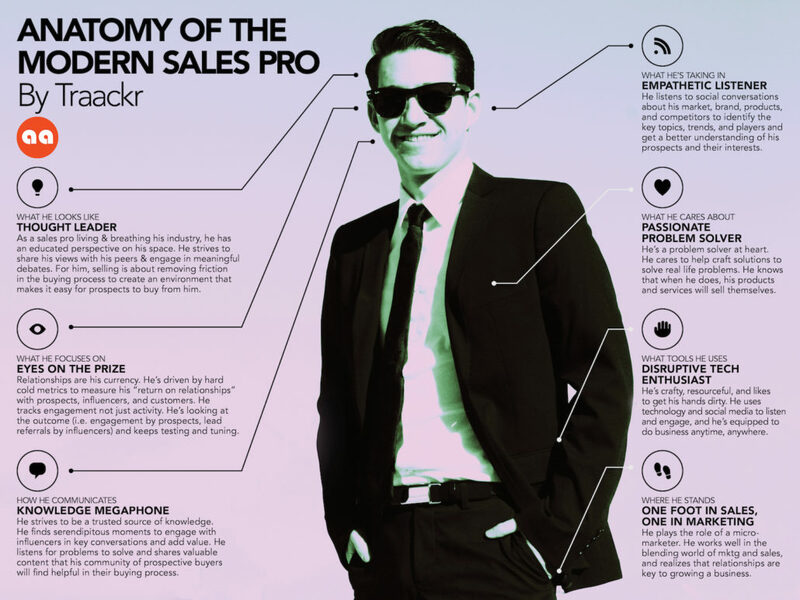 We’re all in sales, as Dan Pink says. Therefore, the modern sales professional can be a business owner, a senior executive, a practice professional, or any number of other business leaders that have to sell – products, services, or IDEAS – as part of their job. As a thought leader, you are a student of your industry and you have a vision for its future. You recognize the value of relationships and your social networks and you invest in and nurture them accordingly. As a knowledge megaphone, you curate the best information in your space and share that knowledge freely. You listen to conversations online because they make you more relevant when you open your mouth. As a digital enthusiast, you recognize its disruptive power and make time to learn and integrate new tools into your arsenal. You recognize it’s not only about sales and marketing – it’s about communicating and connecting. It’s about why you do what you do. Are you a modern business professional?